This app will automatically remove quoted text in the ticket replies. 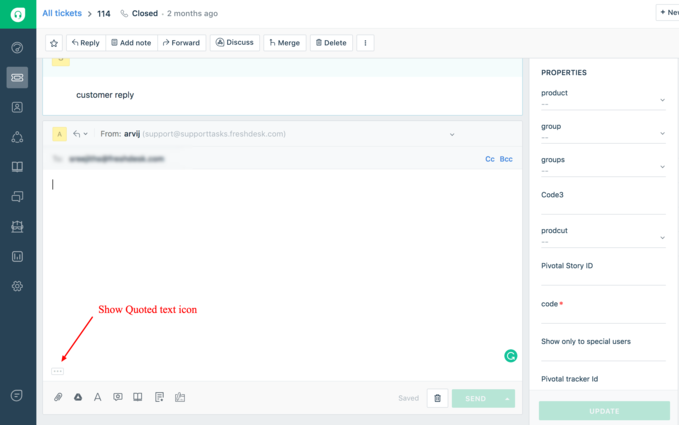 Quoted text is used to store the ticket conversations in Freshdesk. They are usually collapsed within the ... section and they don't bloat your emails unless the option to show quoted text is clicked. However, it all depends on how the customer's email service provider parses the quoted text content of an email. Often, the customer willingly or unwillingly responds to your emails with the quoted text expanded. 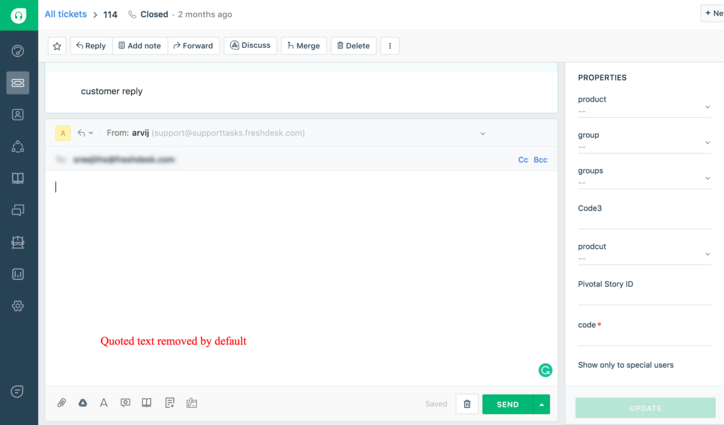 This causes long ticket threads to appear in your Freshdesk account. 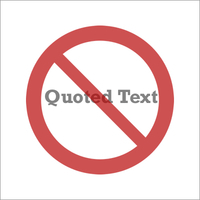 This app will automatically removes the quoted text in the reply of an agent so that you don 't have to worry about it anymore.